Black College Nines (BCN) is pleased to announce its regular season top ten poll dates for the 2016 college baseball season which will ultimately determine our Historically Black College and University (HBCU) baseball champions. The Black College Nines’ poll will name two national champions at the end of the current season. One division (large school division) will be made up of the 19 HBCU schools which compete in the NCAA Division I classification. A second division (small school division) will consist of the remaining 34 schools which compete in either the NCAA Divisions II or III, as well as in the NAIA and independents. Once again, it is our hope that at the end of the college baseball season, our champions will be afforded the same recognition as those previously selected by our predesessor, Black College Baseball, which first began its HBCU poll in 2002. Past national champions included Alabama State, Winston Salem State, Bethune-Cookman, West Virginia State, St. Augustine, Stillman, Edward Waters, North Carolina A&T, Southern, Prairie View and Alcorn State. 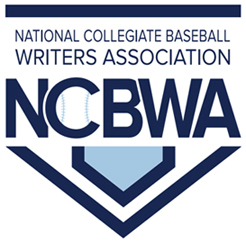 The voting committee is made up of individuals who have a wealth of college baseball knowledge and is composed of some who played HBCU baseball, athletic administrators, sports journalists, researchers, bloggers and other media members who will vote for the top teams each week. The group includes members of the College Baseball Hall of Fame’s Black College Legends and Pioneers Committee – Ruffin Bell, Harold Michael Harvey, Jay Sokol and Dr. John Winters. 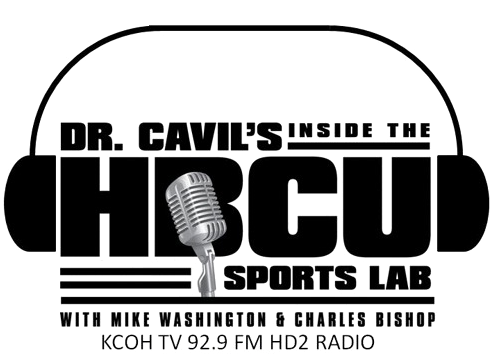 Also included are Dr. Mike Gustafson (Executive Director, National College Baseball Hall of Fame), Michael Coker (Lead Reporter, Black College Nines), Chuck Curti (Pittsburgh area sports journalist), Warren Nolan (warrennolan.com), Sean Ryan (College Baseball Insider), Phil Stanton (College Baseball Insider), CJ Stewart (CEO, Diamond Directors Athlete Development and L.E.A.D), Tyler Freeman (College Baseball Daily), Eddie Hayes (Edd Hayes Black College Sports), Bob Broughton (courtesy runner.com – NAIA College Baseball News), Boyd Nation (boydsworld.com), Kenn Rashad (hbcusports.com), Donal Ware (boxtorowsports.com – Host, From the Press Box to Press Row), Aaron Fitt (D1baseball.com), Eric Moore (Managing Partner, the Onnidan Group), John Manuel (Baseball America), Eric Sorenson (D1baseball.com), Bo Carter (Sports Editor, The Senior Voice), Kendall Rogers (D1baseball.com), Chris Snead (Board Member, National College Baseball Hall of Fame), Anthony McClean (Editor-in-Chief Emeritus, Black Athlete Sports Network), Dr. Kenyatta Cavil (Host, Inside the HBCU Sports Lab), Rob Fletcher (Coach, Chicago White Sox Amateur City Elite Baseball Program), Kevin Coe (Director of Youth Baseball Initiatives, Chicago White Sox) and Kenneth Fullman (Program Manager, Chicago White Sox Amateur City Elite Baseball Program). The voting committee will release eight sets of rankings in 2016, starting Tuesday, March 15 and concluding with the crowning a HBCU national champion for both divisions on Tuesday, May 24. The crowning of Black College Nines National Champions will be announced on Tuesday, May 24th, 2016 at 10AM (EST) on the Black College Nines’ website.